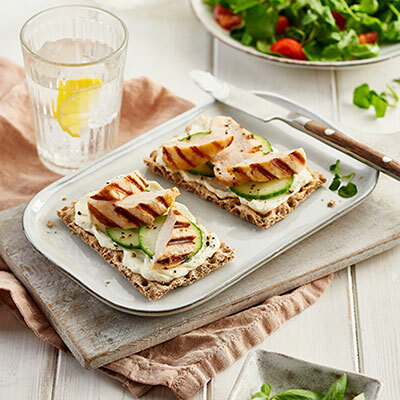 To start, spread the Philadelphia evenly onto each Ryvita, following with the cucumber slices and finally the pieces of grilled chicken. Season with cracked black pepper and a few basil leaves if desired. Serve immediately alongside a watercress, rocket and cherry tomato salad.